Backup and disaster recovery (BDR) is a foundational managed services offering, but there are several selection, sales, implementation, and post-implementation pitfalls that must be avoided. When most IT solutions providers make the decision to sell managed services, one of the first solutions they build their services practice on is BDR — and rightfully so, since it’s such a critical part of data protection. The reality is that data loss can literally put a company out of business. If your company is considering or has already made the transition to selling managed services, you came to the right place. 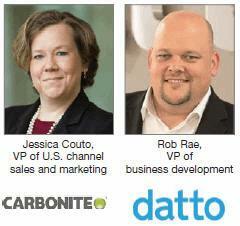 Experts from Carbonite and Datto have some helpful advice to ensure that all your BDR decisions — including selecting a vendor, selling the solution, implementing it, and supporting it — go as planned. “Once the BDR system is implemented, there are three big mistakes that we see MSPs make to hinder ease of use,” says Couto. “The first is failing to test backups right after implementation. This can be a critical error, as MSPs need to be sure the backup system will work correctly following an actual disaster.” Another mistake MSPs can make after implementation, she says, is failing to access the whole environment. “For example, many legacy computer systems will reach end of life this year. It’s important to keep monitoring these systems for your customers, as unsupported, unpatched systems make businesses a prime target of hackers, especially as we continue to see a rise in ransomware.